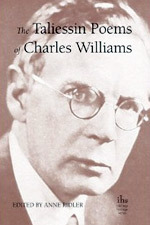 Charles Williams was a prolific writer, and many of his books are at present out of print. As his work grows in popularity, new books are coming back into print frequently. Here’s a look at what’s available. 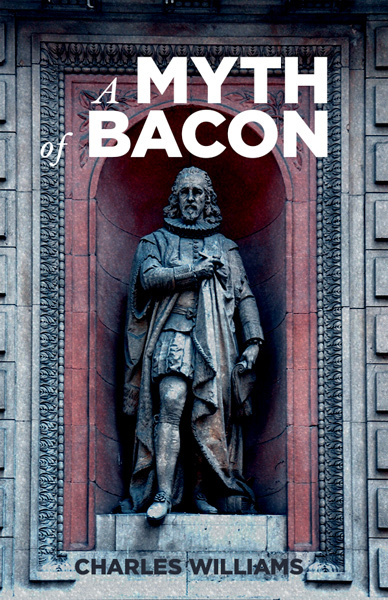 We recently re-posted the PDF vesrion of ‘A Myth of Bacon’ – Charles Williams’ early unavailable verse play – as it was originally found in The Quarterly. But as of today, we’ve also published a real-text version, which you can read online more conveniently. If you haven’t read it yet, you’re running out of excuses: A Myth of Francis Bacon, by Charles Williams. 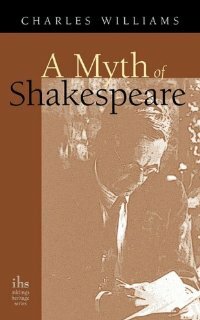 Apocryphile have now reissued some more of Williams’s poetry ; the dramatic-form “A Myth of Shakespeare ” and the cllection “Heroes and Kings “. You can find both at the links above. Comments Off on New Books in Print! Williams’ poetry is moving and complex. Williams’ plays can be enjoyed at more than one level. Though what they have in common is the author’s gift for poetic expression, they also demonstrate his range. Complex theology, knockabout farce, and historical tragedy are all represented here. The plays are simple enough for amateur performances but subtle enough to give scope for many interpretations. 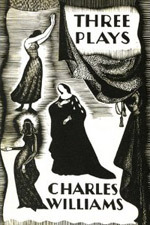 The Early Metaphysical Plays of Charles Williams. 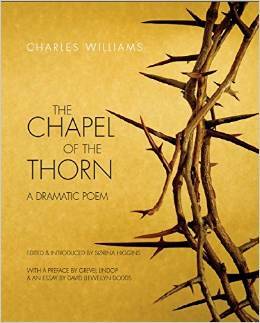 This book also includes some of Williams’s ealier poems on Arthurian themes. While this is not in print, we host the full text of A Myth of Francis Bacon online here at our website. 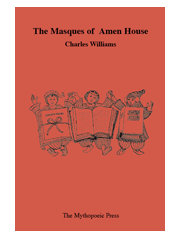 The Masques of Amen House, published by the Mythopoeic Press, includes not only the previously published (but extremely rare) first two masques and other ‘Amen House’ poetry, but also the third masque and a selection of related poetry never before published. This previously-unpublished work is available for the first time now! Williams’ lay theology is mysterious and dense. You might like it! in which he sets out his ideas about the relationship of religion and romantic love. 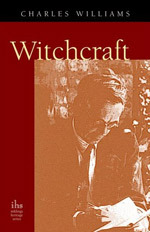 less a study of witchcraft itself as of the Church’s attitude towards it over the centuries. A history of the church with special emphasis on the Holy Spirit. 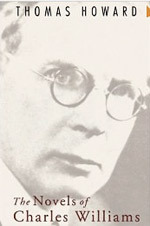 Williams wrote many essays, reviews, and exploratory pieces. These few can be found in print. 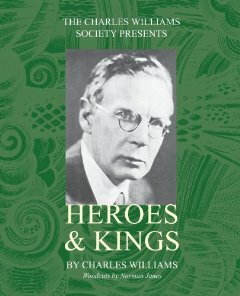 When Charles Williams died in 1945 there remained to us of his work, besides his published books and those which he had in preparation for the press, a number of essays which had appeared in periodicals and elsewhere, many of which contain important statements of his ideas. A selection of these is printed here. 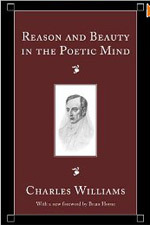 This book is meant as an introduction to the works of certain contemporary poets, for those readers who do not know them, while not being, it is hoped, entirely without interest for those who do. Nota bene: ‘contemporary’ in this care means contemporary with Williams himself! One of the most ambitious essays in the interpretation of Dante our time has seen…his interpretation of the role of Beatrice is a subtle and individual one. Henry VII is less spectacular than his descendants, but not less interesting or even exciting. The first of the Tudors has been less written about than any (except Edward VI). He supplanted a dynasty and subordinated an aristocracy; he collected a treasure and created a fleet. But he created also the engine of monarchy. 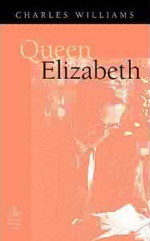 The life of Elizabeth represents, in English history, the longest and most spectacular period of a change in society. That change began before her. It was the change from a society directed, at any rate in theory, by a metaphysical idea, to a society directed, both in theory and practice, by nothing but he continual pressure of events. It is a change completed in our day. Recently back in print! 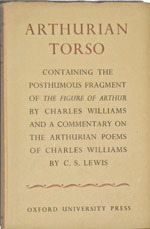 The Torso contains the Posthumous fragment of ‘The Figure of Arthur’, By Charles Williams, and a commentary on the Arthurian poems of Charles Williams by his friend C.S. Lewis. A collection of Williams’ reviews of detective fiction during the 1930’s. Many books on Williams can be found. Here are a few of note. 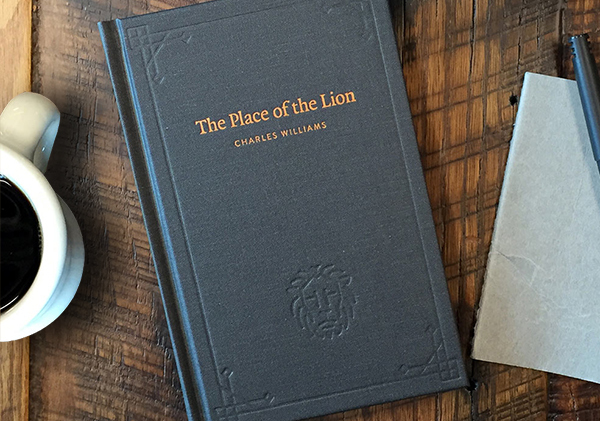 Ever since their publication in 1938, the Taliessin poems of Charles Williams have enspired and thrilled people from all over the English-speaking world. 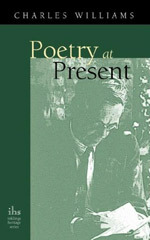 This volume collects commentary on the poems published in the quarterly newsletter of the Charles Williams Society between the years of 1977 and 1986. This international symposium, a product of this revival, is presented as a contribution to the serious study of Williams and his work. 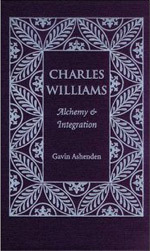 War in Heaven, Many Dimensions, and Descent into Hell are now available in one volume, A Charles Williams Reader, published in the United States by Eerdmans. 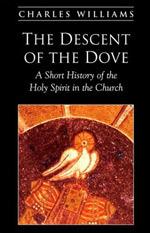 The other four novels have recently been republished by Regent Publishing of Vancouver, Canada, who have already reissued his unconventional “history of the Holy Spirit in the Church”, The Descent of the Dove and are about to reissue his Collected Plays (due out December 2005). 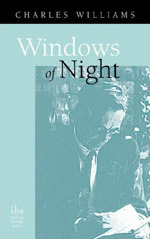 All Hallows’ Eve includes an introduction by T. S. Eliot. 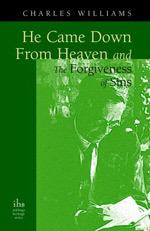 They can be accessed through their website at www.regentbookstore.com. 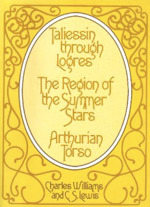 Williams’s most important poetry, the Arthurian cycles Taliessin through Logres and The Region of the Summer Stars together with the earlier cycle, The Advent of Galahad, and some later, unfinished poems, are available in the series Arthurian Poets,edited by D. L. Dodds, and published in the United Kingdom by D.S. Brewer(aka the Boydell Press) (1991). Apocryphile publish his great book on Dante, The Figure of Beatrice, originally issued by Faber and Faber in 1943. It was this book which inspired Dorothy L. Sayers to translate Dante’s “Divine Comedy”. Apocryphile, of Berkeley, California, have just reissued five of Williams’s most important non-fiction prose works. 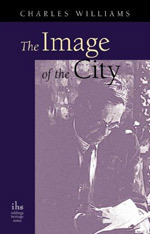 These are The Image of the City a collection of Williams’ essays and articles;The Figure of Beatrice, already mentioned; his studies of the Incarnation and of forgiveness, He Came Down from Heaven and The Forgiveness of Sins (one volume); the early work Outlines of Romantic Theology, in which he sets out his ideas about the relationship of religion and romantic love; and Witchcraft, less a study of witchcraft itself as of the Church’s attitude towards it over the centuries. 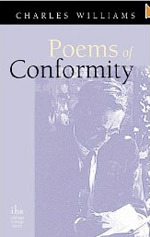 Apocryphile have also reprinted three collections of Williams’s earlier poetry, Divorce, Poems of Conformity, and Windows of Night. For details see Apocryphile’s own website. 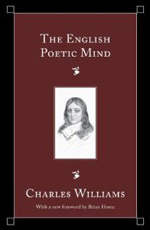 Another American publisher, Wipf and Stock of Eugene, Oregon,, has reissued Williams’s biograhy of James I and two books of literary criticism, ‘The English Poetic Mind’ and ‘Reason and Beauty in the English Poetric Mind’. 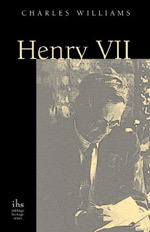 In 1991 the Society itself published a small book of commentaries on the Arthurian poems by people who had known Williams or studied under him. It is published by Apocryphile. Recent articles in the Society’s Newsletter include ‘The Quest for Integration’ by Dr Gavin Ashenden; ‘Charles Williams and the Arthuriad; Poetry as Sacrament’ by Dr. Glen Cavaliero; ‘Striving to Achieve Harmony’ by a Russian member, Olga Markova; and ‘Charles Williams and Magic’, by Edward Gauntlett. 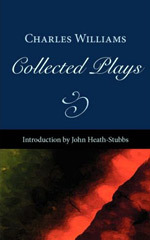 Some of the most recently published Williams books are completely new. 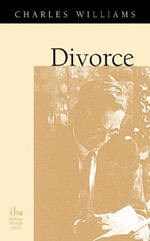 One is To Michal from Serge, wartime letters from Williams to his wife, edited by Roma A. 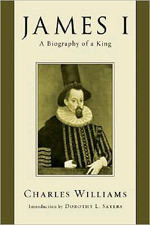 King, Jr., and published by the Kent State University Press. 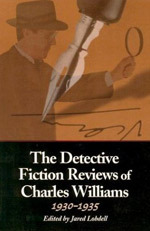 Another is a collection of Williams’s reviews of detective fiction during the 1930’s, edited by Jared Lobdell, and published in the United States by McFarland and Co. 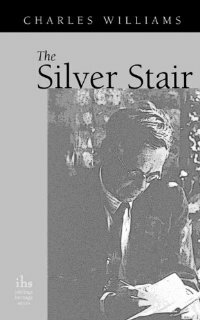 The New Christian Year, his anthology of excerpts from earloier writers – from the Fathers to Karl Barth – has recently appeared on the internet as a “blog” by courtesy of Mr. Tom Wills. 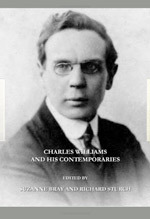 Among recent studies of Williams may be mentioned Stephen Dunning The Crisis and the Quest: A Kierkegaardian Reading of Charles Williams: Paternoster Press, 2000. (“An insightful, challenging examination of an important, often overlooked author and Christian thinker.” Charles Franklin Beach, professor of English at Nyack College, Nyack, NY). Williams was one of those chiefly responsible for introducing Kierkegaard to an English readership.